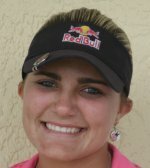 CORAL SPRINGS, Fla. – Teenager Alexis Thompson, playing her home course, became the second female to win on the Minor League Golf Tour, making par on the second playoff hole Monday at TPC at Eagle Trace. Back in 2004, former Futures Tour player Carrie Dykstra shot 76 to win the seventh event on the MLGT when female players played the same tees as the men. 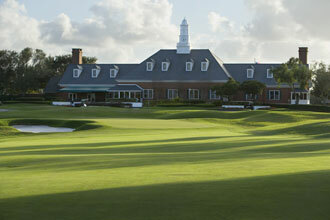 Since 2008 the ladies play from 94% of the yardage played by the men. Thompson, 16, two-putted from 40 feet at the par-4 second hole to outlast Brett Bergeron of LaPlace, La., after they tied at four under par 68. Bergeron three-putted from 50 feet, his only bogey of the day. They had halved the first extra hole with par-4s. In regulation, Thompson birdied the first four holes and finished with five birdies and a bogey. She earned $1,100 from the $9,086 purse. Bergeron made two birdies on each nine. Finishing second among 77 starters, he received $725. Craig Bowden tied for third with Louis-Pierre Godin from Trois-Rivieres, Quebec at 3-under par 69. Six players tied for fifth place at 70. It was Thompson’s 13th MLGT start since April, 2009. She had back-to-back runner-up finishes last fall, on Oct. 28 at Hillcrest CC, Hollywood, and Nov. 3 at President CC, West Palm Beach. There was $440 in the skins pot with 2 skins out worth $220 each.